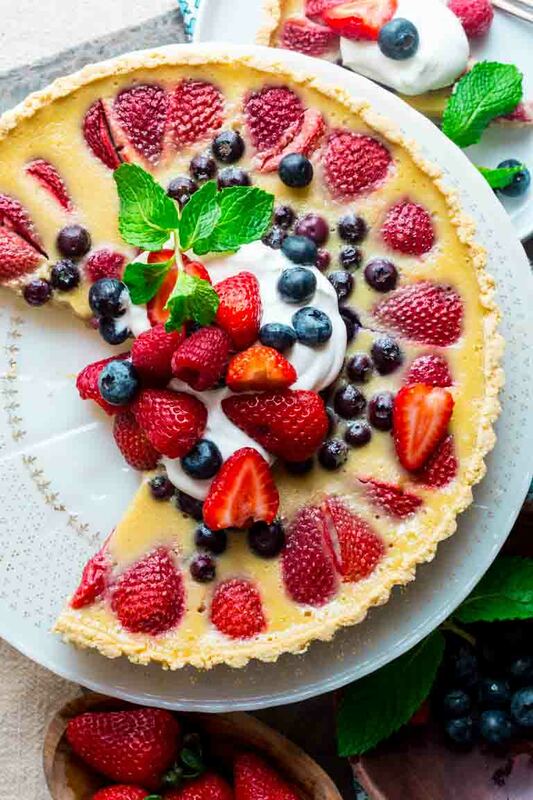 Celebrate the best of what Summer has to offer with this Red White and Blue Buttermilk Berry Tart! A lightly sweetened buttermilk custard is poured over a mix of fresh, plump and delicious summer berries and baked in an easy press-in crust and then topped with a dollop of whipped cream. 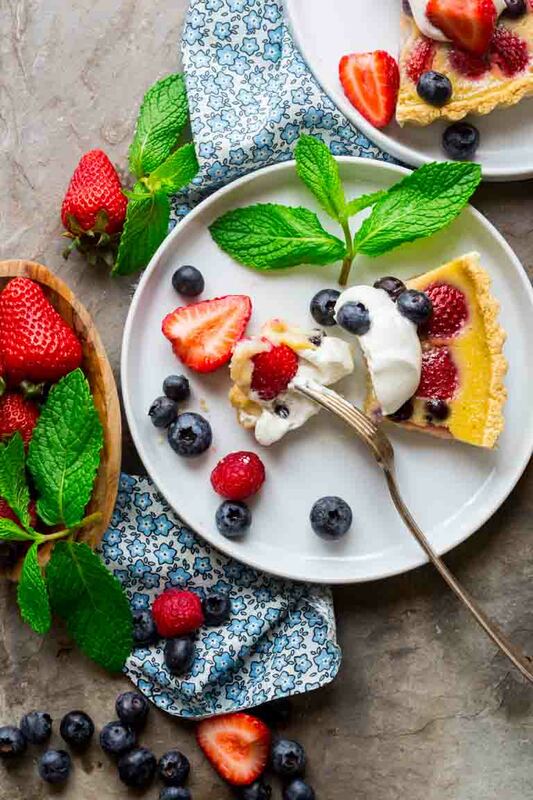 The perfect warm weather dessert! I’ve got one for you: Have you ever been kind of distracted while shopping. Maybe something in the produce section catches your eye, or you run into someone you know. And before you know it you put your item into someone else’s cart? Or have you ever absentmindedly started pushing someone else’s cart in the supermarket? What about leaving a bag behind- and then you have to drive all the way back to get it? Or ooh, this one: I am the queen of leaving a bag filled with groceries in the trunk of my car, I unpack everything and I don’t even realize that bag was missing until much later. I’m like, where the heck is that garlic I bought!?! Seriously, I have done every single one of these things. Please tell me I am not alone. You know how it’s called unconscious competence when you go through the motions of doing something, say letting the dog out while talking on the phone, and not even realizing it? Well, I’d say that in the case of the above mentioned brain farts of grocery shopping (since they don’t result in a competent action) we should call them unconscious incompetence. Well, I’m convinced that the unconscious incompetence, is a result of living life too fast- not being in the moment. Needing to slow the heck down. Are you with me? My point is, slowing down is important. Thankfully, this time of year, seems to make me do just that- slow down. I guess it’s just the weather- or having my kids home from school, whatever it is- I just pause and think, cool it Katie. Chill. 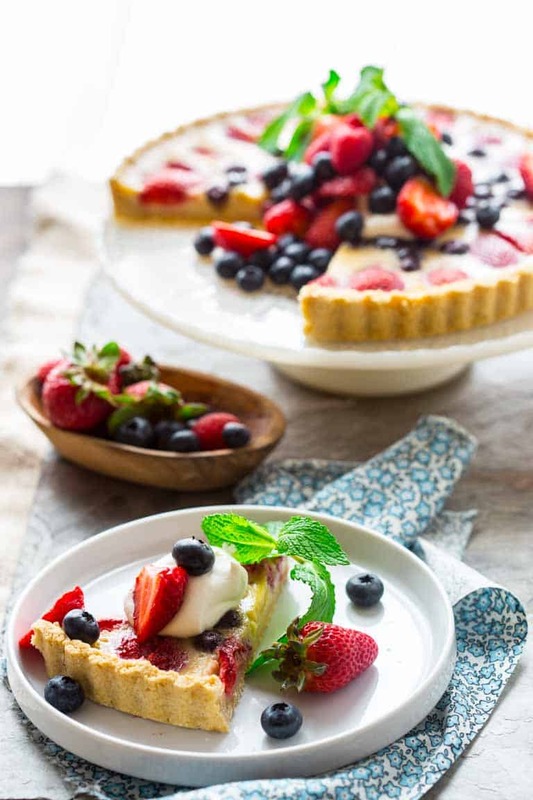 This tart is the embodiment of slowing down and enjoying the summer moment. 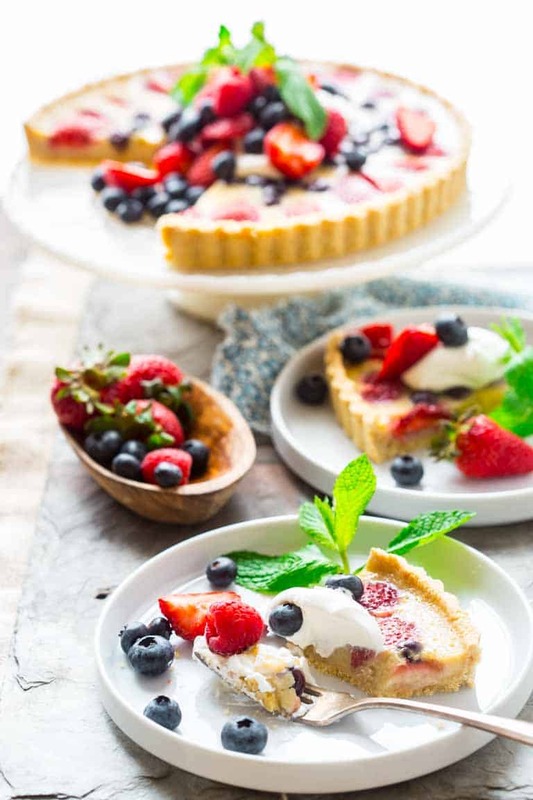 It is so relaxing to make it and it celebrates the simple pleasure of summertime berries. The simple pleasure of baking! I love the act of arranging the berries just so. Whisking the eggs, maple sugar and buttermilk. Enjoying the aroma of the tart baking. It all literally makes me slow down and enjoy the moment. 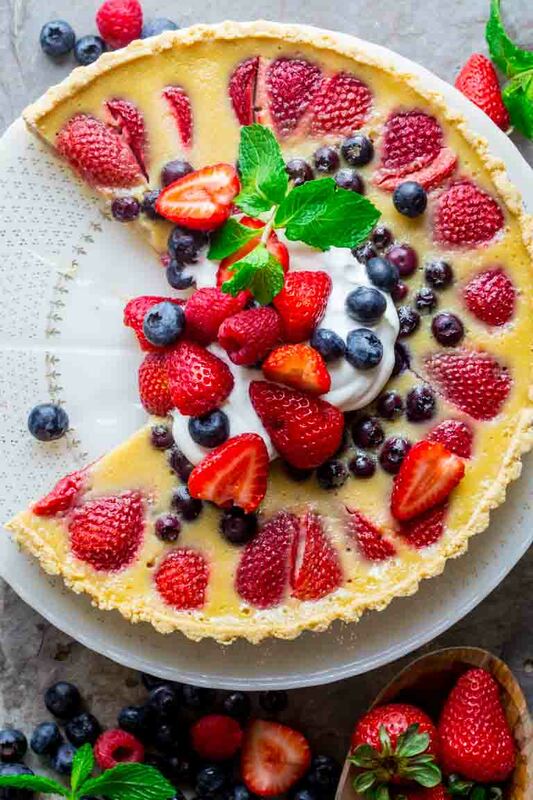 Once the tart has cooled, I’ll whip cream, by hand, and top each slice with a pillow of cream and even more berries. Slow food. I think the enjoyment could be possibly doubled if you happen to be able to pick the berries yourself… or at least buy them at a farm stand. The crust is made in the food processor by combining the flours, adding in butter and then oil. Making the crust this way creates a crispy “short” tart crust- with whole grain goodness and only 4 tablespoons butter for the whole pie. Speaking of the tart crust: Don’t worry about it- I know it seems complicated. But just pat the crust dough into a tart pan (the kind with a removable bottom.) You can use a dry measuring cup to press it into the pan. Work it up the sides evenly and flatten the top of the edge. Next take a fork and press it down into the crust, all the way to the pan. This is called docking, and the purpose it serves is to release steam so that the bottom doesn’t pouf up in the initial blind baking. When you blind bake it, if the bottom does start to pouf, you can always tamp it down with the back of a fork. Since you don’t want your buttermilk mixture to seep through the docking holes, just brush flour over the bottom of the crust once it comes out of the oven. For the buttermilk custard: whisk the eggs, buttermilk (I used local fat-free buttermilk) and home made maple sugar. You can find maple sugar Whole Foods and health food stores. Or online. You can also make it yourself too if you are feeling adventurous. Or you can use brown sugar. I tried this recipe both ways and both worked great. Then whisk in flour. That helps everything hold together, and slice beautifully. Have you ever had one of those grocery store brain farts? 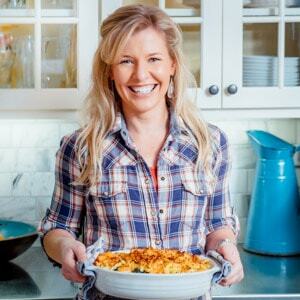 What kind of summertime cooking project helps you slow down and enjoy the moment? Do you use maple sugar? Have you heard of docking? Do you ever eat dessert for breakfast? 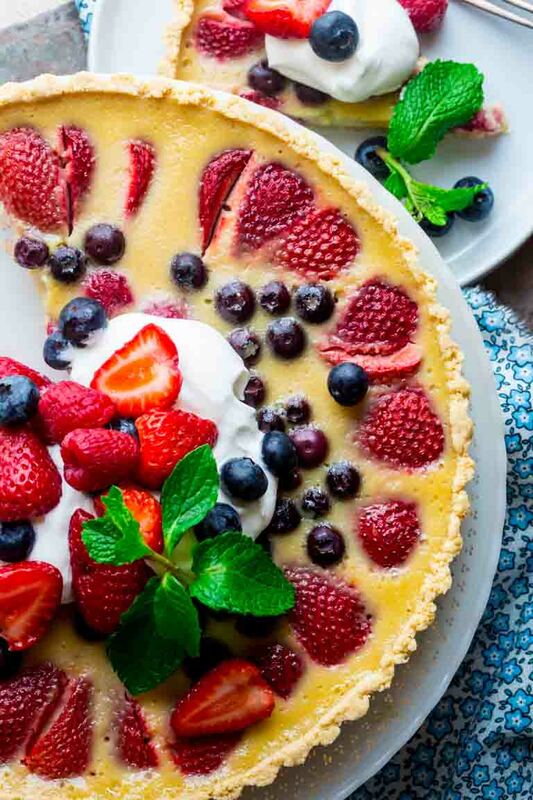 Preheat oven to 375 degrees F. Coat a 9-inch tart pan with cooking spray. Meanwhile make crust: Process ¾ cup plus 2 tablespoons all-purpose flour, whole-wheat pastry flour, 1 tablespoon sugar and salt in a food processor. Add butter, and pulse to chop butter into the flour mixture until it resembles meal. Open lid, drizzle on oil, and repeat pulsing until the oil is incorporated into the flour mixture. Open lid and drizzle cold water over the crumbs. Cover and pulse about 15 times, until the mixture is moist and starting to clump together. It will look like small pebbles, but when you squeeze it, it should hold together. Pat crumb mixture into the tart pan and press to make evenly thick all over and up sides. A dry measuring cup is useful to make the bottom flat. Press tines of a fork into the pastry down to the pan about 10 times with a fork. 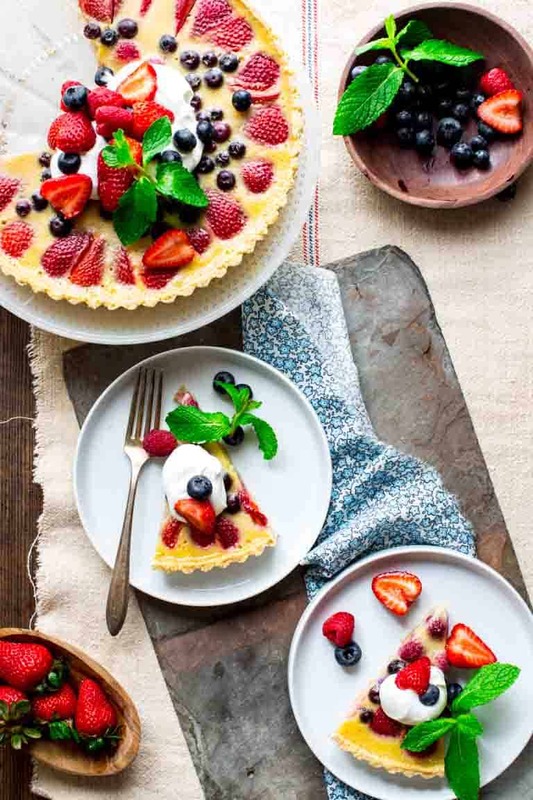 Transfer the tart pan to a baking sheet. Set in oven and bake until the crust is dry and set up and starting to pull from the sides, 13 to 15 minutes. Sprinkle the remaining 1 to 2 teaspoon flour over the tart shell and brush into the fork holes. Beat eggs, buttermilk, sugar and almond extract in a large bowl. Add flour and beat until smooth. Arrange 2 cups berries in the custard, decoratively if desired. Carefully pour the custard mixture into the tart shell. Do not overfill. Rearrange any berries if necessary. 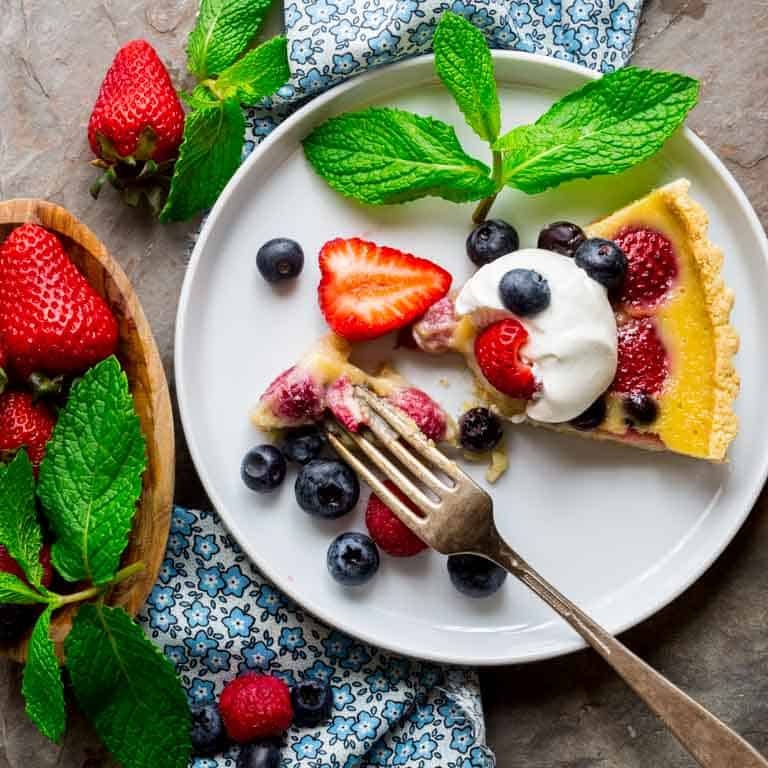 Carefully return the tart to the oven, reduce heat to 325 degrees. Bake until the custard is set up in the center, 40 to 46 minutes. Let cool completely, about 2 hours. 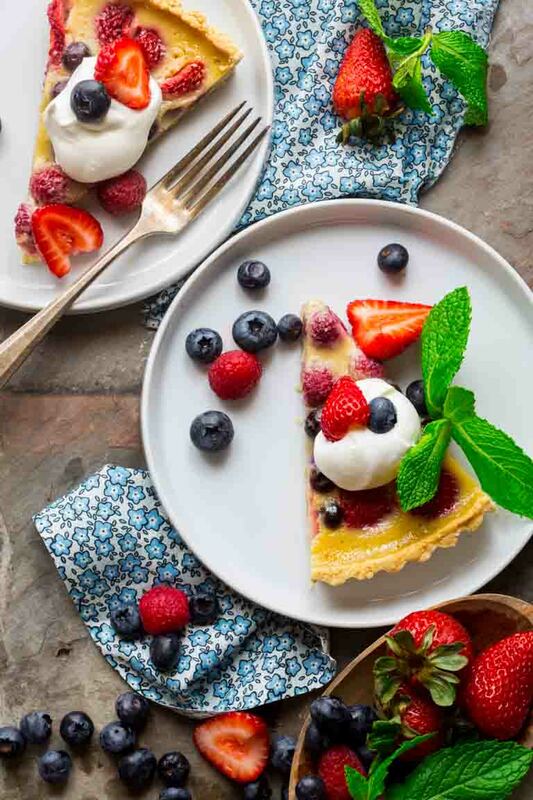 Cut into wedges and serve topped with whipped cream, the remaining berries and mint. Gorgeous photos and I love this idea of maple sugar combined with the buttermilk mixture –wonderful ! Thanks so much Kit! The Maple is so good in here! Can’t wait to try this; if it turns out as well as your carrot cake did I will be starting to build an accidental reputation as a dessert queen. 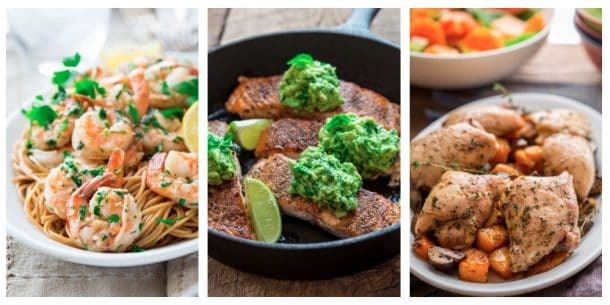 When I saw this recipe this morning I knew I HAD to make it – so I made it tonight, and it was every bit as good as promised. Had to rely on powdered buttermilk, because for some reason stores around here no longer stock the real deal (at least not the ones I went to). Still, it turned out great; I can only imagine what real buttermilk might do for it. That’s great to know that the powdered buttermilk worked, since I know you’re not alone. As always, I want to say that I really appreciate your coming back by to say how it went! Have a great week Megan. Ok, here’s one: I read a news story of a supposed kidnapping the other day. Some lady wasn’t paying attention and thought some mom’s stroller (with a kid in it) was her cart. Bahaha! I was actually just mad that the mom was stupid enough to report it. It’s called being an airhead, not child theft! lol! 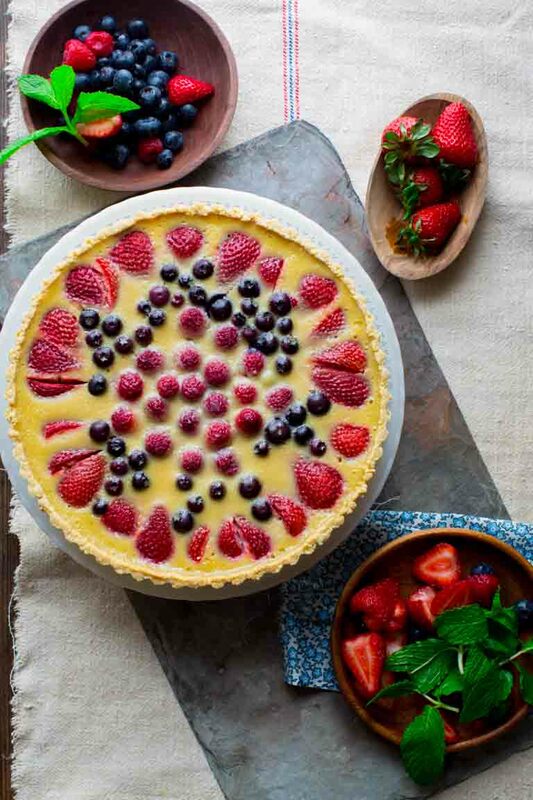 PS the tart is beautiful! Oh my Gosh! Lol. That is so crazy. Makes me feel a bit better about leaving groceries in the trunk. Ha ha. Thanks for coming by Karen. Have a great day. So delicious! It will make the perfect addition to our 4th of July celebration this summer! anything with buttermilk. I’m in! 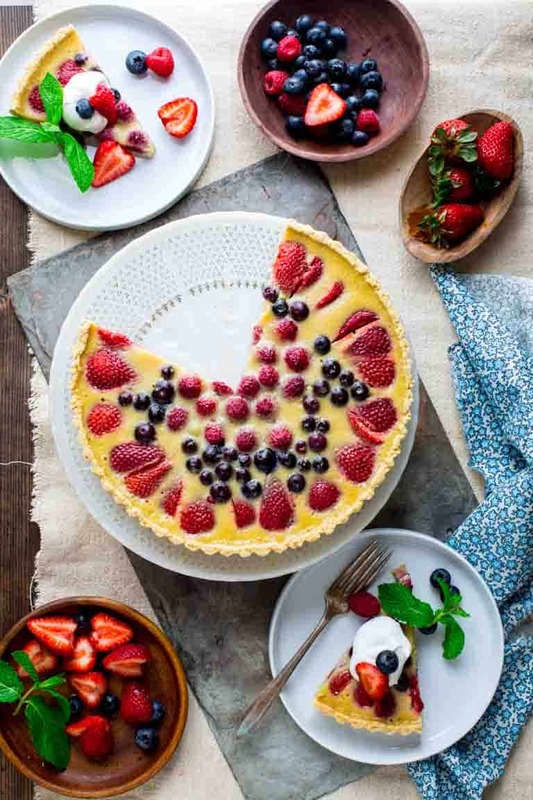 This is such a gorgeous dessert! 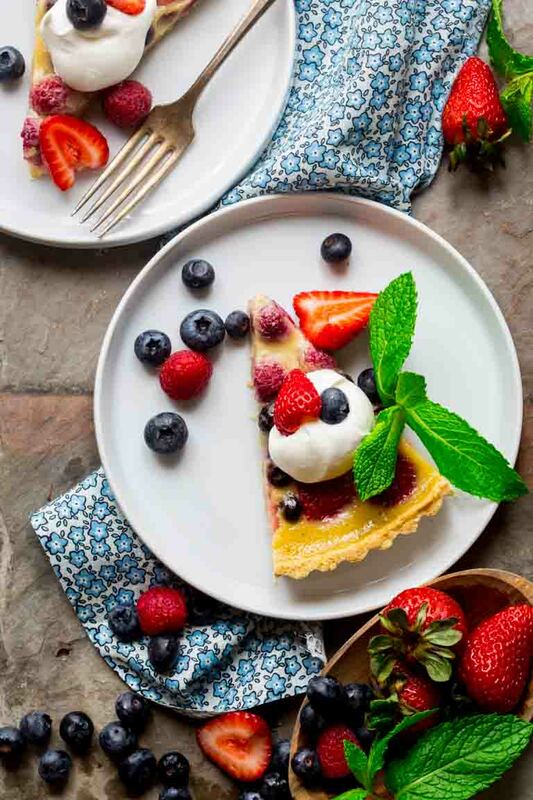 This is the perfect balance of sweet treat and fresh berries!